Description: The Tibetan life style is primarily nomadic. They allow their herds of sheep and cattle to roam on the plains for months, as they camp and work. 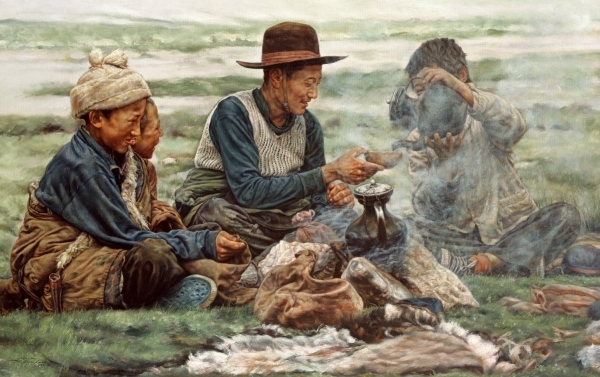 This painting, depicts young men and boys taking a tea break. This shows the harmony, friendship, and brotherly love between these men.